Anabolic steroids such as stanozolol are synthetic derivatives of the male hormone testosterone. Stanozolol has a pronounced anabolic effect with fewer masculinizing side effects than testosterone or some other synthetic anabolic steroids. Anabolic steroids are used in stimulating appetite and increasing weight gain, strength, and vigor. They should be used as a part of an overall program with other supportive and nutritional therapies. 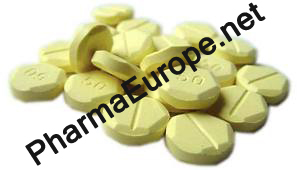 50mg tablets are yellow hexagon shaped tablets, with "50"imprinted on one side and a score on the reverse, sealed in bags of 100tabs.